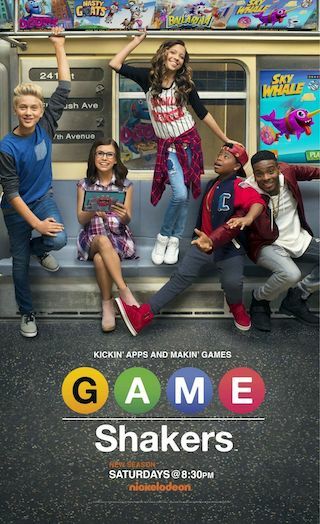 Game Shakers is an American 30 minute scripted children television series, which kicked off on September 12, 2015, on TeenNick and is broadcast every Friday at 18:00. The show is currently in its 3th season. TeenNick is yet to announce the renewal of Game Shakers for Season 4 as well as its cancelation. Sign up to track down the show's status and its release date. When Babe and Kenzie created Sky Whale for a seventh grade science project, they were hoping for a passing grade at best. They never expected it to become the most popular game of the year! Now they're making millions with their insanely successful business. What could go wrong on Game Shakers? Kenzie is hypnotized into being very, very hungry after the Game Shakers take her to see a hypnotist for her birthday.